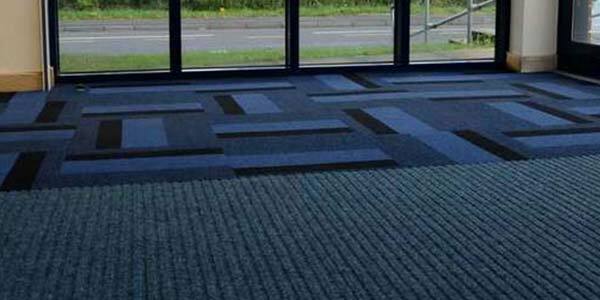 We are able to supply and fit a wide selection of quality carpet tiles in various styles and colours, perfect for commercial environments such as shops, offices, education, receptions, corridors, hospitality and hotels. 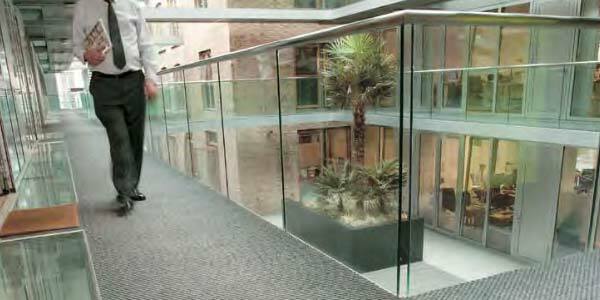 We only fit the highest quality brands which meet all the safety standard requirements and will deliver style and durability to your commercial space. Below we have selected some of the most popular commerical floor tiles fitted across our customer base. Other commercial floor tiles are available in a wide range of colours and styles, to find the best solution for your business, please get in contact and one of our advisors will help yu find the perfect tile for your commercial environment. PLEASE NOTE: Most of the named tiles below can be used across multiple areas. 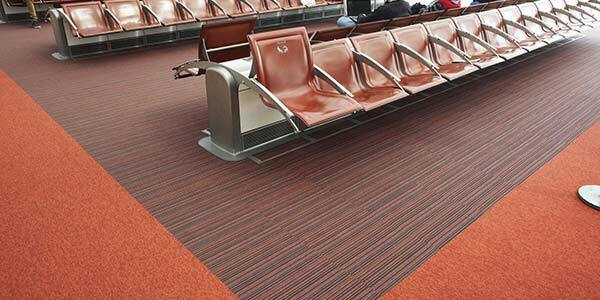 Burmatex Tivoli carpet tiles gives you a high performance loop pile carpet made with 100% solution dyed nylon. They come in various solid colours, pinstripe, varied stripe and multiline, which can be used for creative layouts across commercial and public spaces. 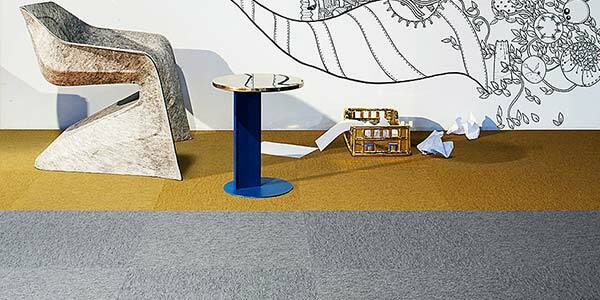 The Interface Output Loop carpet tiles features three ranges with a variety of colours and textures to enable neutral and creative layouts. 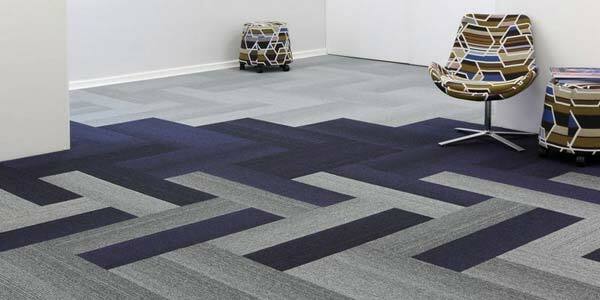 The Output collection is therefore suitable for a wide variety of spaces, both commercial and public. 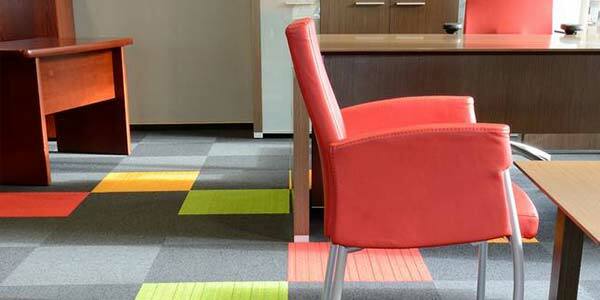 Burmatex Balance carpet tiles offer a variety of colours in 100% solution dyed nylon. 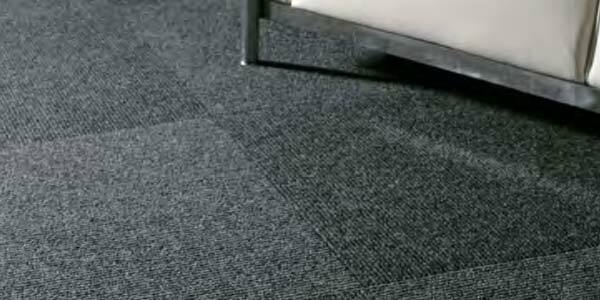 These carpet tiles are suitable for heavy contract applications (class 33), making them great for commercial, educational and public sectors. 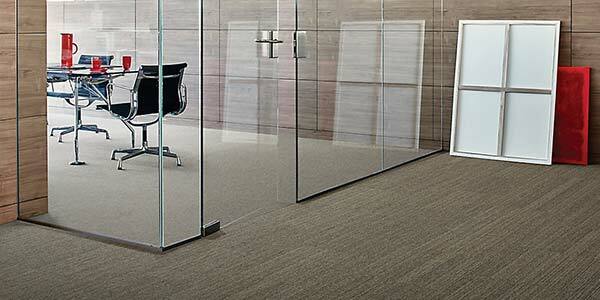 Interface Huega is a great carpet tile for any commercial space. With 48 colours available in this range, there's a look to go with any aesthetic. Let your creative side show by combining several colours for a unique floor pattern. The Interface Superflor is the original and has been going strong for over six decades. 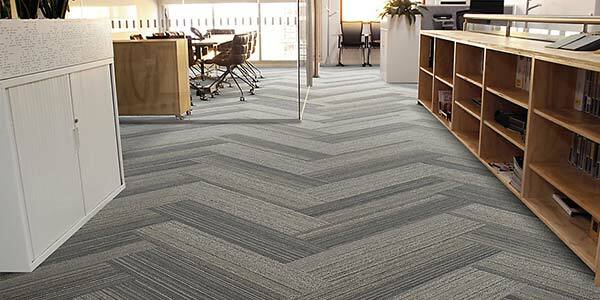 With great durability and a natural look, this carpet tile still does justice to its name. 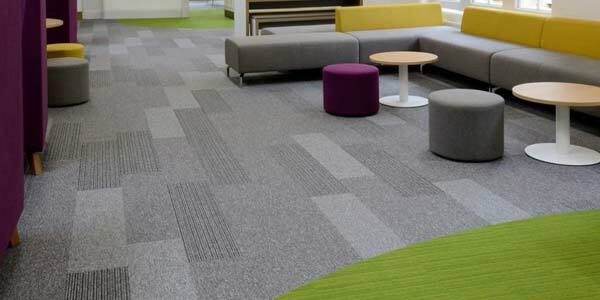 Burmatex Up/Down is a loop pile carpet tile suitable for heavy commercial use (calss 33). 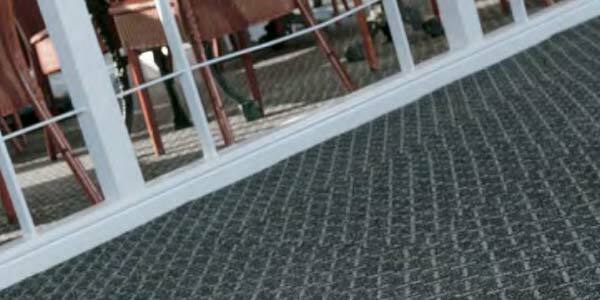 Burmatex Up/Down carpet tiles come in two modern designs and are ideally suited for use in commercial spaces. Burmatex Hadron floor tiles all come with the same neutral dark grey base which are available with a variety of highlight colours from intense bursts to mid tones, semi-darks and neutrals. Interface Walk The Plank comes in 12 different styles, to help you create the perfect look for your environment. The style and design of the tiles is in reference to the old timbers with deeply grooved grains. Burmatex Armour removes upto 90% of the dirt and moisture that's tracked into the building with a combination of absorbent yarns and scraper yarns. 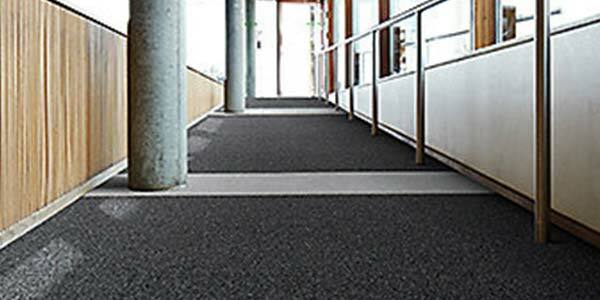 These carpet tiles are ideal for lobbies, entrance areas, lifts and staircases. Dreadnought UB carpet tiles are hard wearing british made tiles. The diagnal ribbed surface structure is popular in schools, colleges and universities. These tiles are ideal in areas of heavy wear and tear. 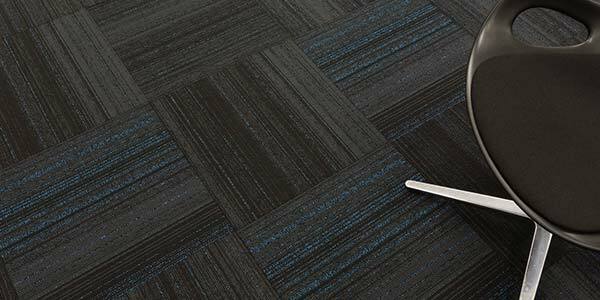 Heckmondwike Sticks & Stones carpet tiles have a striking diagonal motif, designed to offer a creative floor design that's durable, extremely tough and easy to maintain. 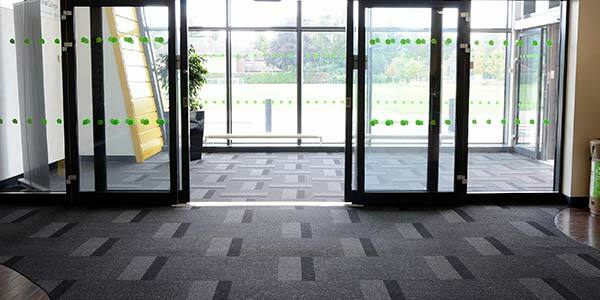 Burmatex Grimnebuster 50 are heavy contract fibre bonded carpet tiles which are the ideal solution for busy entrances with heavy footfall which lead directly from the outside.